The magnum opus “Christopher Columbus was Portuguese” suggest a description of a Portuguese navigator wanting to be known for his true accomplishments rather than a fabrication of modern society. Certainly, truth most often takes a back sit to the endeavours of flagrant individuals determined to mislead the populace with lies, purposely fabricated to suit a specific political environment. Bringing truth to the surface, correcting centuries of politically correct historical lies, does not promote harmony within a system that survives on a constant fabrication of such. So, does human existence thirst for figments of an imbecile’s imagination? Unfortunately it does willingly. A quick observation of the populace shows an ease of acceptance for fabricated historical lies, designed to influence the masses into following a specific political correct path. Politically correct government, academia, business, Church and whatever minority organization with determination to modify history to suit desired goals, are tireless engines of manipulation. Within society the pool of imbeciles contributing to the distortion of world history are too numerous to mention, supporting the fact that we live in an artificial society created by minorities of influence. To review Doctor Silva’s book “Christopher Columbus was Portuguese”, with an interest to single out the life and times of the navigator Cristóvão Colon, omitting my knowledge of Doctor Silva’s historical discoveries and constant pursuit for historical truth through decades past, is an impossible task. Firstly, I cannot dismiss the tremendous influence Doctor Silva’s positive attitude for historical research has had on my pursuits to unravel a true account of Portuguese navigators, that helped shape today’s Global society. Not forgetting, that one of the great navigators, Captain Alvaro Martins Homem is my ancestral grandfather, a finding emerging from following Doctor Silva’s footsteps to research for truth at the source. Doctor Silva’s mannerism at seeking direct information from two of the world’s best historical archives, Torre do Tombo, Lisboa, Portugal and the Vatican, Rome, Italy, prompted my research to enter a road of knowledge that refuses to end. Perhaps and with decorum, the paper efforts of Doctor Silva do not do justice to his overall efforts to bring forth events in history that greatly changed the world to what it is today. Doctor Silva’s efforts to house Dinghton Rock, exemplifies such with a demonstration of his passion for historical correctness. Portuguese history is not a small subject that can be taught by a an academic determined to summarize it to better suit the glory days of some artificially inflated nation with mediocre historical events, resembling inferior genetic specimen minorities determined to conquer a conquer less world. Certainly, the historical endeavours of the Anglo-Saxons fulfill the parameters of the preceding statement. To Doctor Silva’s credit, Portuguese history depicts events where Christians, Jews and Muslims flourished and perished in direct connection to today’s mannerisms, a fact that Doctor Silva refuses to dismiss in his historical endeavours. Certainly, I can point out numerous events in Portuguese history originating from information provided by Doctor Silva, where truth contradicts contemporary history, unfortunately this few paragraphs would need to increase to volume size, augmenting many chapters. Rising from the pages of “Christopher Columbus was Portuguese”, page 310, illustrates information about the word “canada”, today better known as Canada, a commonwealth nation. Praising Doctor Silva, one needs not go any further than his statement; “Educators and Historians of Canada should verify these facts and teach the TRUTH to their youth and to all Canadian citizens…”. Sometime in the past, during one of several historical related conversations with Doctor Silva, he mentioned the name Canada to originate from Captain João Vaz Corte Real, a Portuguese navigator. At the time, already familiar with Doctor Silva’s vast knowledge of world history, I took the hint and subsequently began my research, as to the origin for the name Canada, the nation. The research, to my surprise, was strait forward and simple to acquire, emerging from early maps of Canada and Portuguese manuscripts relating to the formation of the Republic of Angra, my birthplace and home to my ancestral grandfather, Captain Alvaro Martins Homem and Captain João Vaz Corte Real, both knights of the Order of Christ. At the young age of thirteen I immigrated to Canada, a choice originating from my parents, with great hopes for a new life. During my elementary education in Portugal and subsequently my secondary and post secondary education in Canada, never information crossed my eyes indicating that Canada was a nation originating from the efforts of Portuguese navigators. The fact that surprised me most was how readily available the information is and how simple it is to understand. Certainly, the omission of such information from Canadian textbooks is surely an indication of the Anglo-Saxon mind at work, promoting the interests of Mother England. Then, how do I explain contemporary Portuguese historians following suit? Again, praising Doctor Silva, he affirms the determined effort to dismiss historical truth is not limited to the Anglo-Saxon mindset it is a mental sickness involving all nationalities. The map, one of many, shown above, obtained from Archives Canada and the Bibliotheque National Du Quebec, clearly indicate the name Canada with reference to the combined words “CANADA PRO” and the word “CANADAS”. The word “PRO” indicating that to the west of the Saguenay River was of no interest to the Portuguese. The word “CANADAS” placed to the east the Saguenay River indicates the many dividing lines set by the Portuguese navigators marking their territories. Yes, I am simplifying the definition of these words relating to the maps herein shown, the actual evidence available from Portuguese manuscripts and how Captain João Vaz Corte Real divided his territories within the Portuguese kingdom, demonstrates a clear pattern used to identify the New World (North America) to Europeans. It is sad, when the majority of published history books omit basic factual information. 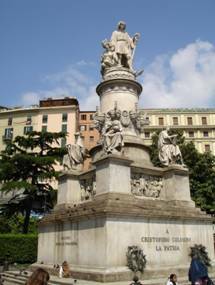 Sometime during the spring season of 2005, I embarked on a journey to Italy and Germany. A business related journey that involved the selection of a suitable shipyard to build a 90,000 Gross Tons cruise ship. 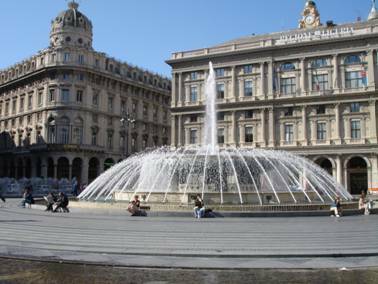 With a busy schedule to fulfill, the Italian portion of the trip involved a ten day stay in the City of Genoa. My hotel, earlier booked by shipyard office personnel, place me within a two minute walk from the city`s maritime museum and the rail station where a large statue of Christopher Columbus sits directly in front of its main doors. 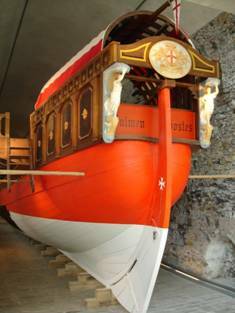 Towards the end of my stay in Genoa I visited the maritime museum, with a full expectation to learn about Italy`s Christopher Columbus. To my surprise, better said shock, the museum placed a question mark (?) 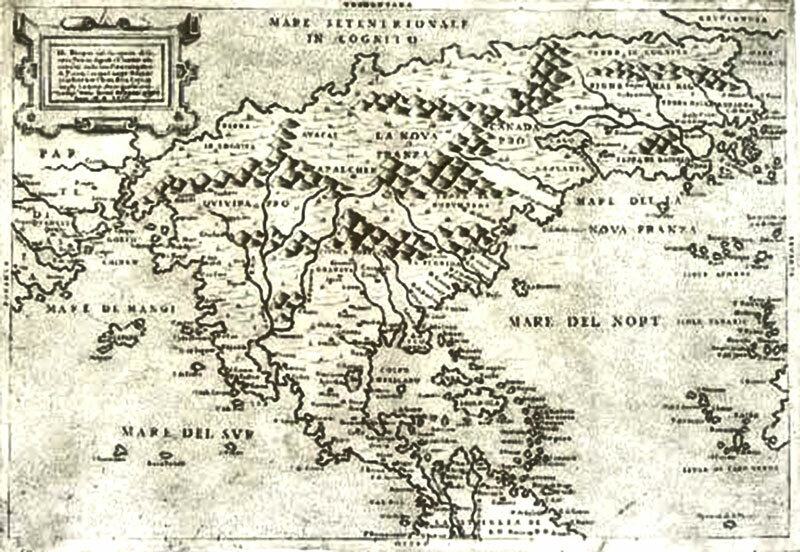 attached to all the information relating to the navigator`s Italian nationality. Subsequently, I tried to contact the curator with a slew of question about such brave act of intelligence, but was unable to meet the dates the senior staff was at the museum. In contrast, I was shocked to read about Doctor Silva`s visit to Porto Santo, where he visited The House of Colombo, to find a complete reversal of my finding, Portuguese supporting what Italians question. Taken from the pages of Doctor Silva`s book, namely page 139, I quote the illustrious Doctor; ” We left that House of Colombo with the wrong message: that the navigator was Genovese and nothing else!”. Certainly the Mayor of Porto Santo and the Town Council should be responsible for cultural events and responsible for historical accuracy. 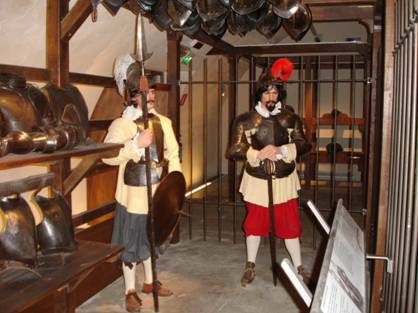 Today, after several visits to Portugal and the Açores, I am no longer surprised at the gross ignorance and stupidity originating from members of Portuguese institutions that cater to the preservation of Portuguese history. Some individuals, I am unhappy to say, were my school mates. 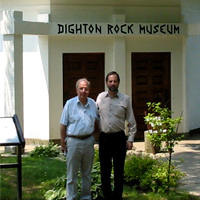 A few years ago, I visited The Dighton Rock Museum with an interest to meet the celebrated Doctor Silva and his life partner Mrs. Silva, also deserving equal honour. To dismiss Doctor Silva’s attentive hospitality, is criminal, accompanied by detailed descriptions of an era gone by when my ancestors mastered the North Atlantic, showing maritime courage seldom seen today. While the visit was in high spirits and educational, I was sad to learn about this important part of Portuguese history late in life and not during my formative years, when formal education is designed to shape the mind into adulthood. The Dighton Rock Museum opens the door to Ocean travel during times when all was unknown beyond the horizon. Crucial information that connects today’s navigator to our ancestral men and women of the sea. Bringing to the forefront the fact that “Christopher Columbus was Portuguese” is a joint venture between a man and a woman, symbolizes facts omitted from contemporary history relating to women accompanying the great navigators; I am sure when a navigator settled on new land he was not the initiator of human growth by giving birth to baby humans. Women certainly played a role in Ocean navigation and the formation of new colonies on uninhibited, newly discovered lands. Chapter by chapter, enjoying the written word of the writers, Doctor Silva and his honoured lady Mrs. Silva, I found myself at a cross roads when a comment of praise about their publication is required. To comment is also to add more information about the subject at hand, a mannerism that falls on individuals with a full archive of historical knowledge. “Christopher Columbus was Portuguese” is a summary of aspects in history, designed to entice the reader to take action on any topic of interest seeking more truth. Fortunately, I met Doctor Silva years before this publication; years spent building my archive satisfying my thirst for truth. Searching for truth does not require an individual to sit inside a room reading endless books, rather, and to follow Doctor Silva’s clear message; historical research happens in parallel to contemporary life, therefore all that we do is relevant to this research. I went to the knowledge base of life with a clear conscious, wanting truth to set me free from a complex human world with artificial information mastered to distract the unclear conscious. Obviously, I am masquerading a bit, so let’s clarify into simple cognitive prose of my kind; no one finds truth when their mannerisms are untruthful. “Christopher Columbus was Portuguese” is not a book to criticize or review with intent to compare to other books of history. Doctor Silva’s book should be viewed as a door to a world of wealth. Agree or disagree with information published by Doctor Silva is no reason to criticize or comment, the book must be a catalyst to seek more information, clarifying truth with an understanding that a truthful grasp of history sets an individual above the crowd, able to see beyond the horizon. Today’s society represents a continuous cycle of congenial falsehood, giving the masses a nonexistence feeling of happiness, questioning an inherited state of stress affecting its participants. For Centuries falsehoods about the navigator Cristóvão Colon circled the globe, why? Does anyone actually believe that a lie is forever? The answer to both questions is relatively simple; Doctor Silva is that individual that once in a while appears to set the truth strait, sending all the flagrant, mental deficient masters of decadence, to swim in smelly ponds. Colleagues of such masters, namely the general public, usually find the Doctor Silva’s of the world disturbing, because truth arrives with an arrow of sorrow.